Microlearning: Is it for you? Microlearning is the wider approach to improving skills in an informal way. 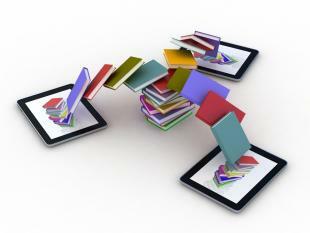 It’s often available on multiple devices such as mobile phones and tablets, allowing employees to learn on-the-go. Along with keeping the learner engaged, microlearning allows for wiggle room. The learner can decide what they want to learn, when they want to learn it, and how they will learn it. These courses are short, focused nuggets that last between 3 to 5 minutes. They are designated to specific learning outcomes, rather than four or five objectives. It’s an alternative to lengthy courses, keeping your learner engaged while getting the message across. The microlearning solution is gaining popularity, but there are pros and cons to it. It’s not for everyone, but it’s definitely becoming the easy alternative to hours worth of online learning. Listed below are some reasons why you should, or shouldn’t, consider implementing this learning style throughout your career. Researching, filming and writing a course can be timely. Creating a microlearning course takes little time and can be distributed to learners faster than ever. Additionally, they are easy to update and it can be done frequently. Keeping the learner engaged is one of the biggest challenges most elearning companies face. With the Millennial generation coming rapidly into the workforce, they are a large target for elearning. Their short attention spans often lead to lower engagement levels. Interesting microlearning courses gives them the information they need, when they need it. Learning on-the-go is an informal approach to keeping your employees skills up to date. However, with microlearning a formal approach can also be taken when implementing new courses. Three to five minutes is longer than you think and a post-assessment quiz could be implemented in person once your employee is through with the microcourse. If your organization is looking to implement a traditional approach to learning, then the reasons listed above are not for you. Consider microlearning as the answer to your questions throughout the day. There is a value proposition within mlearning, you have more free time since these short courses take less than 10 minutes and can be done throughout the day, at any given hour. You will save hours using a microlearning system, opening up more free time throughout your day for high impact work, instead of training yourself and your employees. Microlearning gives anyone the opportunity to train on-the-go and proves that the training process doesn’t have to be dull or drawn-out.